The awesome ruggedness of the Fleurieu Peninsula’s Petrel Cove. Max Anderson explores the southern Fleurieu Peninsula – a striking piece of coastline that tells a remarkable Australian story. 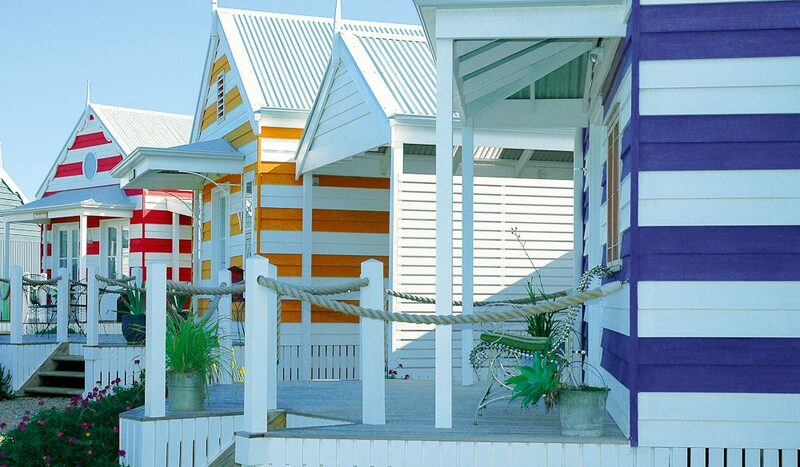 The Beach Huts of Middleton are painted with candy-coloured stripes. They circle a small lawn fringed with seaside daisies, and a similarly striped ‘Village Hall’ where guests meet over bottles of McLaren Vale shiraz. ‘Here’ is the southern coast of the Fleurieu Peninsula and it’s a lament I’ve heard before – usually from travellers on a day-trip out of Adelaide or shooting through to catch the ferry for Kangaroo Island. Outside South Australia, this part of the world is somewhat ‘off-map’. While we’re chatting I tell the Queenslanders how the scenery changes, from soaring cliffs in the west to the low dunes and lakes at the mouth of the Murray River. Ah, that’s where the Murray come out! “The Murray comes out here? Really?” ask the tourists. Like many Australians, they’re vague about what actually happens to the nation’s largest river. And you can’t blame them because the Murray makes a complete mess of reaching the sea, disappearing into its own huge complex of lakes, sand islands and lagoons. It also has to reckon with a 140-kilometre-long barrier of sand: the Coorong. One hundred and fifty years earlier, the visitors from Toowoomba would definitely have heard of Goolwa. From 1853, Australian producers of wool and wheat used the river as a highway. And if they wanted to ship it overseas they had few options other than to unload at Goolwa. Today, the historic centre has a colourful main street of stone buildings, cafes and boutiques. Dairy farmers come in from the surrounding hills to stock up at the supermarkets or drink at the pubs; resident artists stock a number of local galleries; and in summer, Adelaidians repair to their holiday homes. But you should head to the town’s wharf, where you’ll find the bucolic sight of pelicans gliding on calm waters beside a moored paddle steamer. If it’s early morning, take a coffee at Hector’s cafe; if it’s past the yardarm, grab a craft beer in the atmospheric goods shed, now the Steam Exchange Brewery. Soaring overhead is a substantial, elegant bridge arcing across to an island. This is the Hindmarsh Island Bridge, drive over it and you’re among undulating island topographies before reaching an unprepossessing beach. Look past the fishermen and the dredging teams, across the water to a 50-metre breach between low dunes. This is the mouth of the Murray. It’s practically unnavigable – and why Goolwa existed at all. From 1853, the bales and sacks unloaded at the wharf were taken west by rail along the coast of Encounter Bay to safer ocean jetties. It was a ‘tramway’ pulled by horses. The tiny visitor information centre used to be the railway station and on one side you’ll see the old stables. 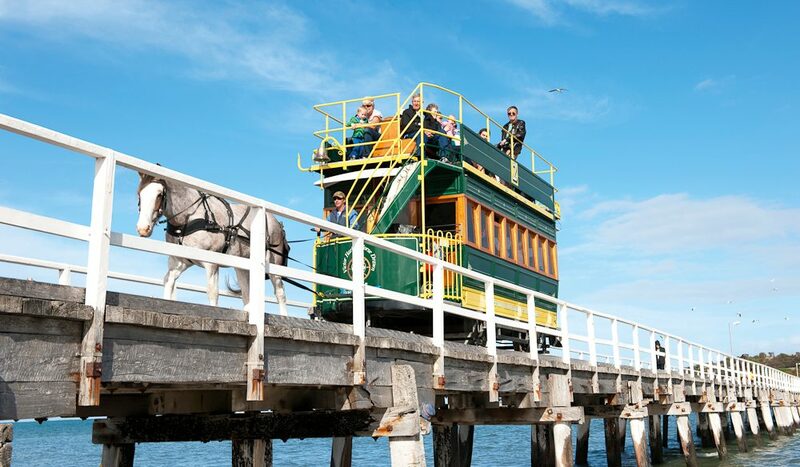 On the other you’ll see a strange open carriage fitted with seats: as well as cargo, the horses pulled people, making Goolwa home to Australia’s first public railway. This town easily repays those who spend a few days here. The National Trust Museum in the old blacksmith’s workshop is so provincial it’s a bit like peering under a rock. But there’s no shortage of treasures, including boat-building relics, railway ephemera and bizarrely, Australia’s first motor home. Don’t miss the 1924 Dodge with its small gabled house built onto the back. 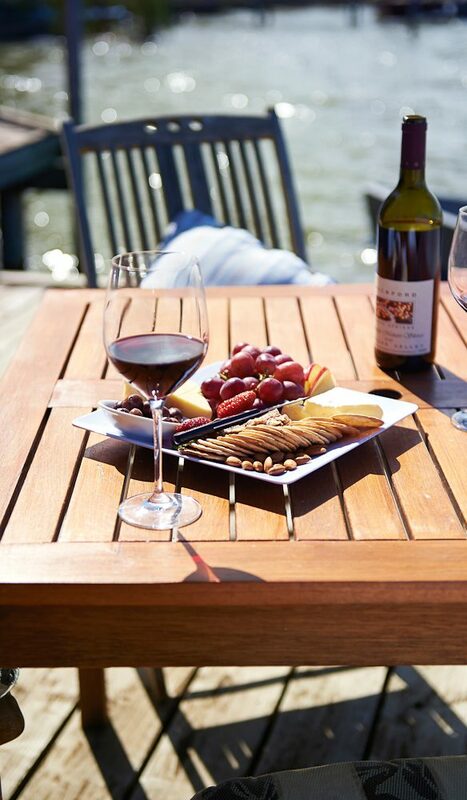 Drive inland from Goolwa and you can explore the estuary environment of Lake Alexandrina – covering a mind-boggling 650 square kilometres – and the wineries of Langhorne Creek (Bremerton’s cellar door is especially tranquil). 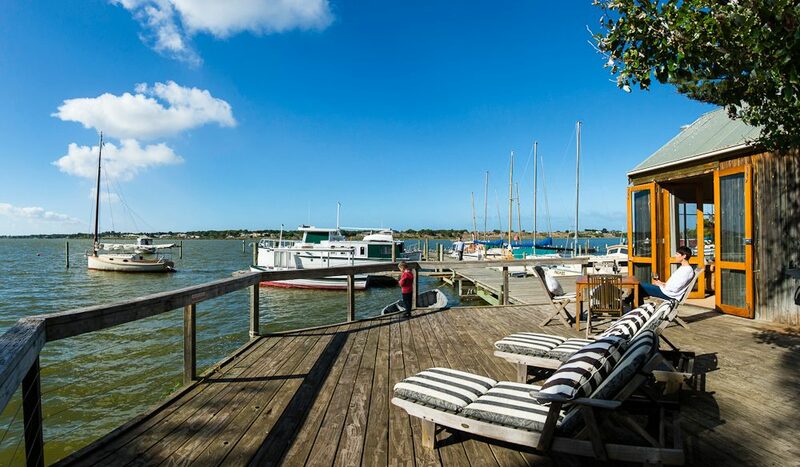 Alternatively, rejoin the wharf and cruise out to the Coorong, the country made famous by the classic Storm Boy. Awarding-winning operator Spirit Of The Coorong runs day-long cruises, your chance to see the bird life (over 140 species) and explore the dunes for ancient Aboriginal middens. After days of fresh air, you’ll eat well in Goolwa, with most plates telling a story of local growers and fishermen. 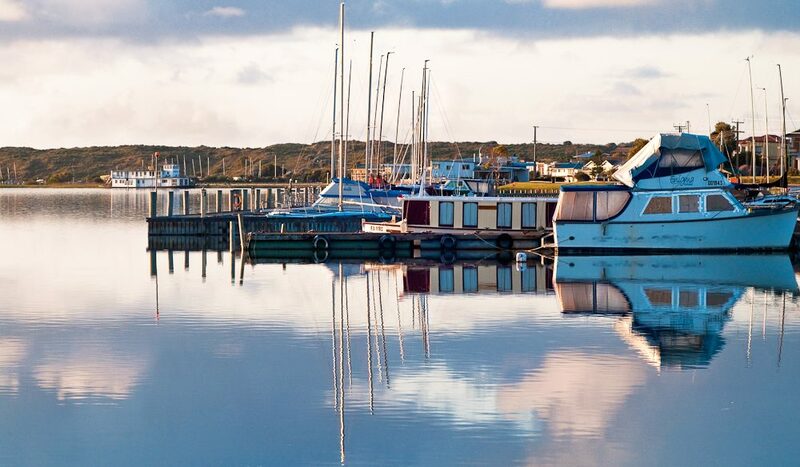 Goolwa was the first Australian town to become a Cittaslow town, anointed by the Italian Cittaslow movement for savouring local harvests prepared carefully and for appreciating that urban life is better lived slowly. 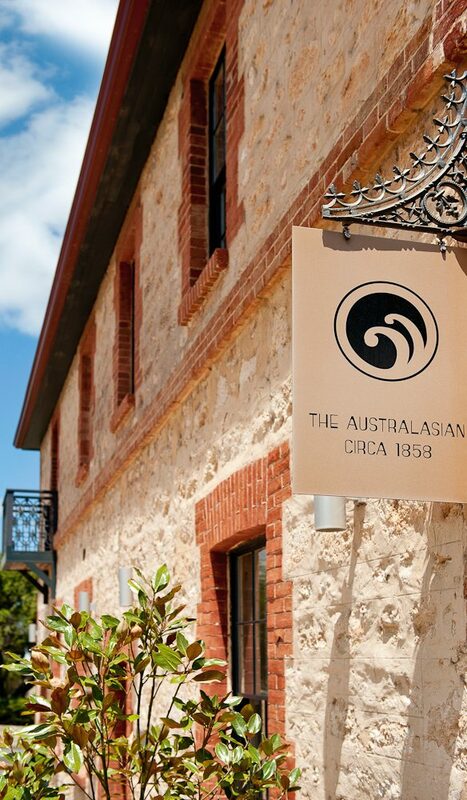 Try The Whistle Stop Restaurant, or the set menu dining at The Australasian Circa 1858. Just when you think you have the measure of Goolwa, head to the newer side of town and you’ll find yourself on a massive beach curving away into the distance. It’s a whopper – great for families, excellent for surfing (Kingo surf school can teach you how) and now home to the Bombora Beach Cafe for food, beers and wines. On a hot summer’s day you could be forgiven for thinking you’d discovered a little slice of California. The horse-drawn tramway once ran parallel to this sweeping coast – to Middleton, to Port Elliot and eventually to ketches waiting at Victor Harbor. You can take the same journey aboard the Cockle Train. It departs from the wharf, only now it’s pulled by historic locos, including a steam train during school holidays. A road follows the same route, but it’s far better to hire bikes (Boomerang Bikes, 0402 814 541) and cycle the Encounter Bikeway. The leisurely 30-kilometre route hugs the shoreline of magnificent Encounter Bay, close enough for you to spy resident seals, dolphins and any wintering whale action. The bay was named by Englishman Matthew Flinders after he encountered Frenchman Nicolas Baudin in 1802; they were both sizing up the coast, which could have been awkward, but the gentlemen explorers broke bread and went their separate ways. Stop at Middleton for another surfing hotspot complete with school (surfandsun.com.au) not to mention kite surfers and lovers of land-yachts. The town, set back from the beach, is where you’ll find a superb seafood lunch waiting at Blues Restaurant next door to those stripy Beach Huts. If you’d prefer to forage for your own seafood, you can go down to the cockle beds, dig your toes into the shallows and harvest any shellfish over 3.5 centimetres – be sure to leave them in water overnight to purge the sand, though. Next morning you’ll be needing some fresh linguine and Nonna’s homemade tomato sauce, so call into Port Elliot, an attractive town that shares Goolwa’s fondness for quality artisan products. Among the bluestone cottages are providores, homewares, bookstores and hipsterish cafes. The steep main street (The Strand) ends in gardens with huge sprays of red hot pokers and amazing views; paths lead down into beatific Horseshoe Bay and seafood favourite, The Flying Fish Cafe. The horse-drawn carriages transferred their cargo to ships moored here. Then the shipwrecks started to pile up and, in 1863, the railway was extended east to Victor Harbor with its deeper harbour sheltered by a strange island of granite. Victor was – and is – the end of the line. Today it’s a sleepy ‘city’ of 15,000, and still Adelaide’s favourite holiday hotspot. But like Goolwa it conceals unusual and interesting stories. If you look out to Granite Island you’ll see a substantial breakwater, sometimes booming and shooting geysers of water. Constructed in 1879 to give more shelter to vessels, it was then one of the most expensive public works undertaken in South Australia, costing £107,000. Blocks weighing 20 tonnes were hauled by horses and lowered by steam crane until some 200,000 tonnes of granite were in place. The story is well told in the National Trust Museum on Warland Reserve. The Whale Centre next door brands itself with ‘From railways to whale ways’, though the whaling tale is more circular than that. In the 1830s Victor’s two rival whaling companies raced each other in rowboats to be first to harpoon southern rights and humpbacks, until, of course, the populations were decimated. Today, if you take a Big Duck Tour you’ll see healthy colonies of seals and pods of dolphins – as well as the whales that come to calve from May to October. The Goolwa–Victor operation went into terminal decline in the 1880s when Murray traffic began off-loading 160 miles up-river onto a new rail line to Port Adelaide. But, if you grab a coffee before 9am and wait on The Esplanade in Victor, you’ll get a glimpse of the past. You’ll hear them before you see them – two 800 kilogram Clydesdales, their heavy hooves striking the road. Each morning they’re ridden along the same route, from their council paddock to the handsome pine-lined seafront and the terminus of the Horse Drawn Tram. Here, they’re harnessed into a gorgeous green and yellow vehicle on rails, and they tow visitors across a timber causeway, over pale turquoise shallows and onto striking Granite Island. This is the last 630 metres of a journey that helped take Australian goods to all corners of the Empire. On a summer’s day, the tram and the Clydesdales are an arresting sight, a seaside curio that people have loved for decades. But it’s also testament to a remarkable industrial chapter – and an even more remarkable piece of coast where the Murray River finally finds its way to the ocean. Getting there: Qantas, Tigerair and Jetstar fly to Adelaide from most major cities. Adelaide Airport is home to major hire car companies; Goolwa is roughly an hour-and-a-half south of Adelaide; Victor is an hour. And you haven’t even discovered #Fleurieucoast #Madebynature yet! Places such as Normanville, Second Valley and Rapid Bay are more beautiful than you could ever imagine. You’ve got some more exploring to do!! Very interesting blog with great ideas and information about the southern Fleurieu Peninsula sojourn. 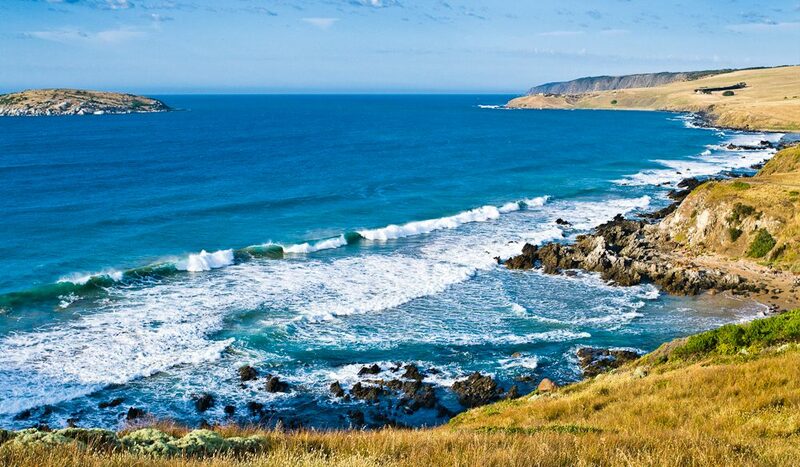 The Fleurieu Coast is an adventure playground famous for its coastal thrills, secluded beaches, adventurous tours and unspoilt wildlife.